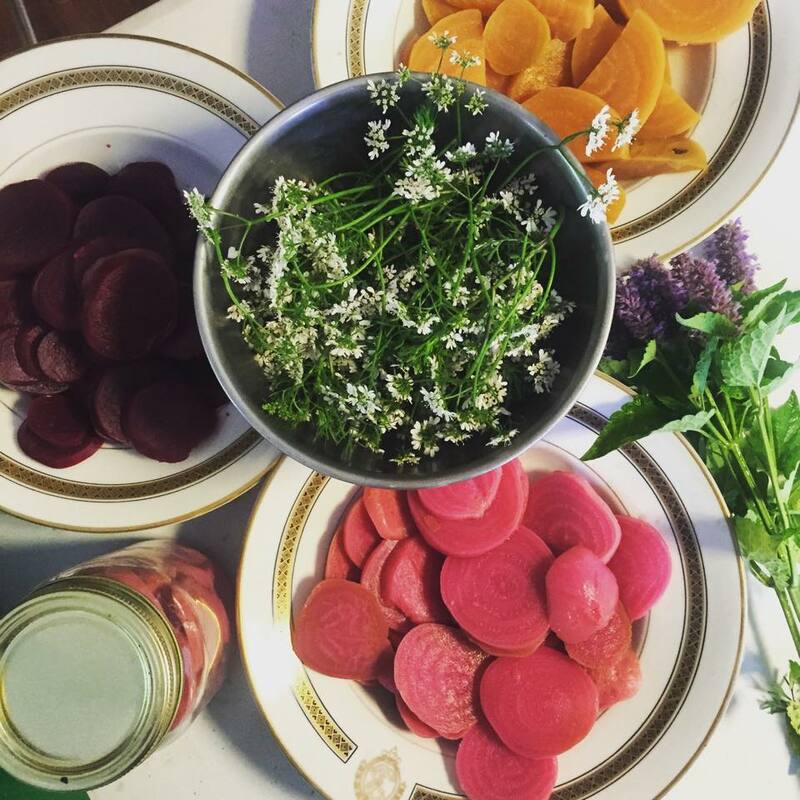 Farming, bartering and foraging for meals in East Tennessee. 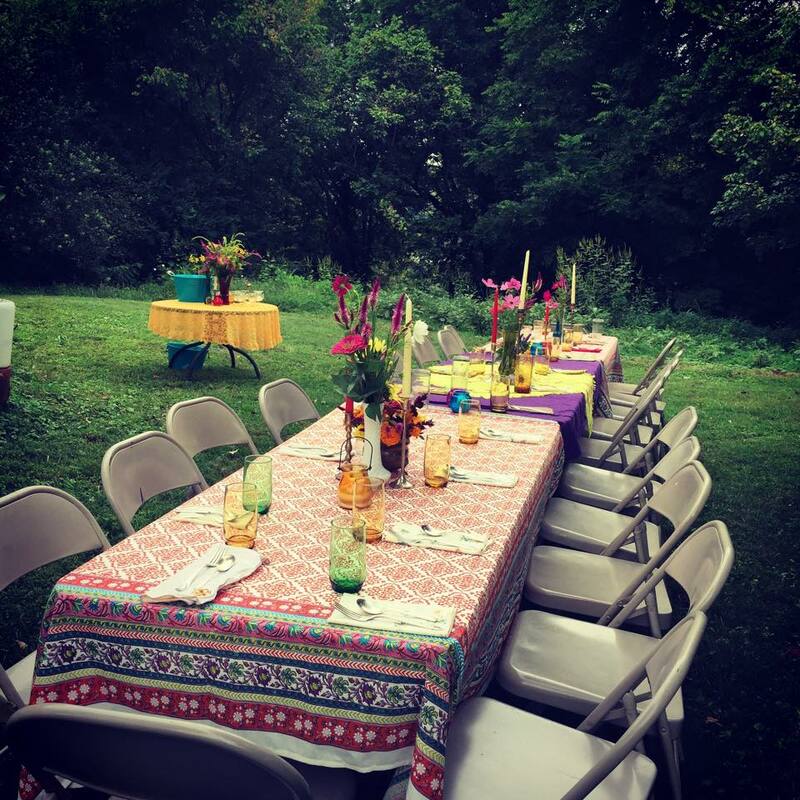 River House Supper Club Success! I ,first of all, want to thank all the attendees from the inagural supper. People laughing and eating and building community through local foods really fills my heart and it all happened. When a few drops of rain started falling there was no need to fret because we got pop up tents out and up and overall I felt like the tents created a more intimate setting and luckily we never received the thunderstorms the forecasters were threatening. 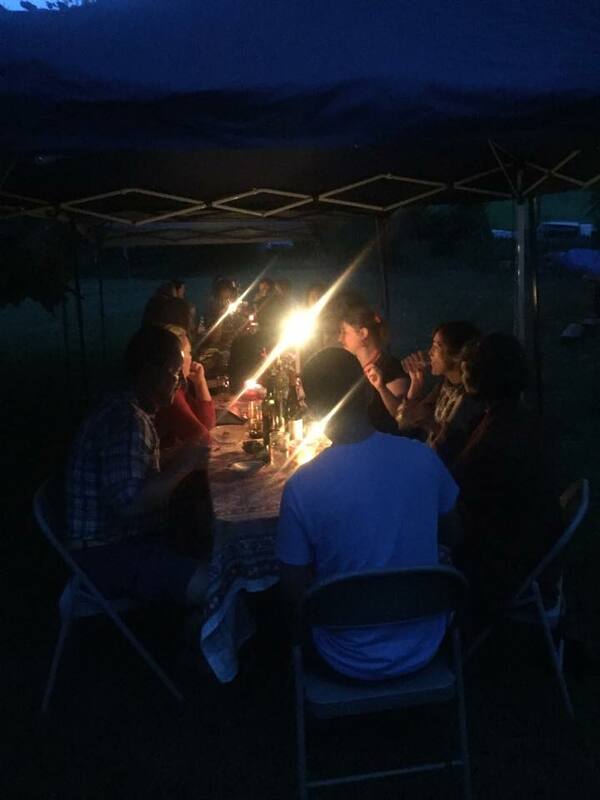 To see CSA members, fellow farmers, co-workers, farmer’s market shoppers and complete strangers dining together and enjoying the river views and food kept a smile on my face all through the night. All the little details that go into pulling an event like this together were not overlooked and the positive feedback I have received since the supper has been truly inspiring. I think these events will only continue to grow and thrive in the future. Salad Mis en Place. Pickled red, golden and chioggia beets and cilantro flowers. I’ve got a menu for the next supper which is an early fall Italian feast featuring homemade pappardelle as well as falling on the same eve as a harvest full moon/super moon/blood moon eclipse! Details and link to purchase tickets coming soon. Thanks Greeneville for supporting a local farmer and chef and my dream of bringing folks together through simply executed fresh food and open air dining!